Jane Eyre (Hardcover) | Let's Play Books! For decades, people have enjoyed losing themselves in the stories of classic literary characters, including wondering about the secrets hidden in Mr. Rochester's attic. The novels of Charlotte Bronte remain as popular, relevant, and enjoyable for the modern reader as they were for their contemporary readership, continuing to sell in the thousands. Elegantly packaged, with a textured, cloth-effect jackets, this novel will remain a must-read for generations to come. Charlotte Bronte and her sisters Anne and Emily are acclaimed English novelists and poets. 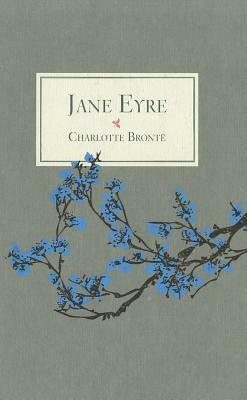 Charlotte is best know for her masterpiece Jane Eyre, and is also the author of Shirley and Villette.